Apple may bolster its flash memory bank in its biggest deal since bringing Steve Jobs back with NeXT. Story updated to reflect difference between flash memory hardware and flash software. NEW YORK ( TheStreet) - Apple ( AAPL - Get Report) is in talks to buy a flash storage company for mobile products called Anobit Technologies for $400 million to $500 million, Israeli newspaper Calcalist reports. If a deal were to materialize, it would be Apple's biggest company acquisition since bringing legendary founder Steve Jobs back to the company by buying NeXT Computers in 1996. For a company that's relied on inventing and growing internal products to win consumer loyalty, a flash-storage focused deal could potentially allow for greater data storage on its mobile devices. Apple already uses some of the flash product offerings of Herzeliya, Israel -based Anobit, which was founded in June 2006 with $76 million in venture capital raised by Battery Ventures, Pitango Venture Capital, and other strategic investors, according to its Web site. Currently, the company also has 21 memory signal processing-related patents, according to its Web site. Anobit's attraction for Apple could lie in its manufacture of embedded flash controllers for smartphone and tablet computers, which improve the performance of device flash connectivity. This might mesh well with Apple's mobile product data storage needs. For more on Apple, see TheStreet's 5 Holiday Stock Picks Sure to Please Investors, and Merrill Lynch's 10 Favorite Stocks for 2012. For Apple, an acquisition would be a rare sight. As part of a consortium of investors including Microsoft ( MSFT - Get Report), Sony ( SNE - Get Report), Research In Motion ( RIMM and EMC ( EMC, Apple acquired patents from bankrupt Nortel in a July deal that totaled $4.5 billion. The consortium beat out Google ( GOOG - Get Report) in their bid. Otherwise, the company's biggest merger is a $400 million purchase of NeXT Computers to buy its operating system and bring Steve Jobs back to the company he founded in 1976. 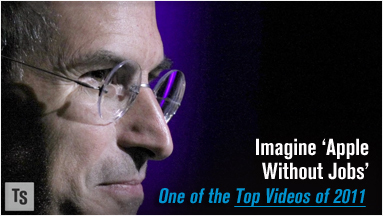 Jobs died in October, succumbing to a multi-year battle with pancreatic cancer. The Cupertino, Calif., -based company now run by chief executive Tim Cook has only cut seventeen deals in its history totaling less than $5 billion, according to data compiled by Bloomberg. Currently, Apple sits on $81.6 billion in cash and short term investments, according its financial statements. 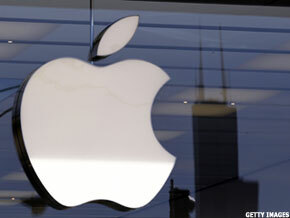 Apple shares have risen over 21% year-to-date in 2011 beating the Standard & Poor's 500 Index. The company also eclipsed ExxonMobil ( XOM - Get Report) as the largest company by market cap in the U.S. earlier in 2011. For its mobile devices, further flash memory capabilities may only accelerate their ascendance in the industry and within Apple. Since 2009, iPhone sales have grown at a 2-year compounded rate of 90% and have eclipsed its computer sales as the company's biggest revenue stream with $47 billion in 2011 sales. Tablet-computing products like the iPad launched in 2009 are the fastest growing division within Apple - and have now become its third largest division with over $20 billion in annual sales, just behind the $21.7 billion selling computers division.